If you are looking for a good and budget friendly affordable garbage disposal, this is the product of your interest. I’m talking about L-2600 from Waste King Legend Series. 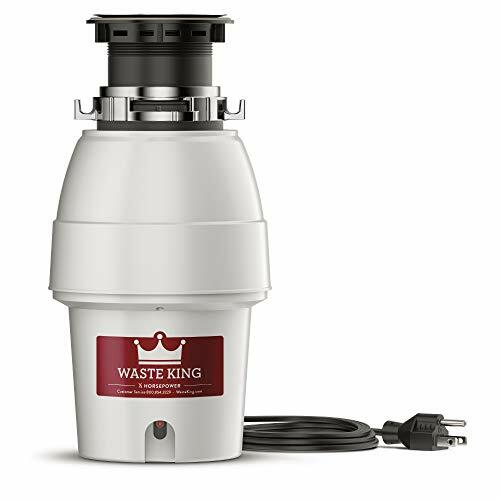 Waste King is very popular for their cheap garbage disposals on the market. The L-2600 model is not the least priced disposal of their shelf. But it contains the great value over a budget-friendly price, comparing the other products. 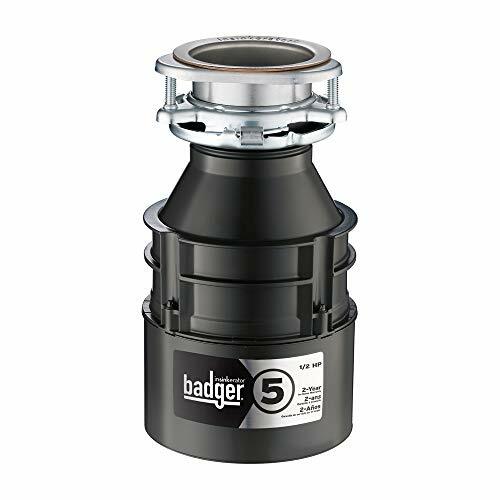 It’s a great garbage disposal under if you have low budget and perfect one for anyone who is interested spending the bucks to have a product with powerful capacity, reliability, and warranty. Let me tell you why. The Waste King L-2600 is very well evaluated by the reviewers in terms of installation. Most of the people who use this product talk about the super easy installation. It is even very simple for someone who has not done this sort of thing before. The “EZ mount” mounting makes it trouble-free to replace or install the system. It’s almost plug and play if you have a stainless steel kitchen sink. You may need some plumbers putty to seal the flange rim. Also, you may need some extra piping and fitting if you have a two bowl sink. It is simply connectable with home dishwashers or a standard septic tank. You won’t have to spend money if for installation if you follow the step by step instructions provided by them. Waste King L-2600 is a Continuous Feed Garbage Disposer containing a ½ Horsepower magnet motor. It has a speed of 2600 rpm. That is enough for transforming your organic waste into liquid form, so it’s safely taken away. This is a pretty good specification for a cheap garbage disposal like this. The ½ Horsepower motor is powerful to chew up your garbage like a monster. It is more than enough for a small family, such as a couple or 4 persons. The permanent motor uses less electric power while grinding the food scrapes and makes it faster. No problem with any hard and awkward wastes like fruit or vegetable peels or a bowl of bones. Check the best price at Amazon. If you are looking for a more powerful disposal than Waste King L-2600 you can check Waste King L-3300. Great operation for a ﻿cheap ﻿garbage ﻿disposal. The stainless steel swivel impellers minimize the chances of jamming and messy troubles. Its removable splash guard makes the food waste to stay inside the unit while operation. On the other hand; the main components of this Waste King garbage disposal are made of stainless steel. Also, the grinding chamber is made of glass-filled nylon. This means no corrosion and rust. Corrosion is usually one of the major reasons for internal parts breakdown. This assures you a longer lifespan of this Waste King garbage disposal. This food waste disposer may not give you a pin drop silence, but it’s quiet enough not to get bothered. It is a pretty quiet garbage disposal. The sound insulation technology promised from Waste King garbage disposals are appreciated by the real users, the motor itself is quiet while operating. So not much complain about noise from this model, which is a very plus point for a low-priced food waste disposer like this. One of the main reasons you can choose this disposer is for its warranty. Waste King provides a long warranty period for their high priced disposals. Like most of the Waste King garbage disposals, it has lifetime corrosion warranty. But unlike the other food waste disposers, it has a five-year In-Home mechanical warranty. You can check the price at Amazon. This is the highest you can get from the other cheap garbage disposals of this range. I’m not a technical person. When I decide to buy an item for consumption I think about the user experience it’s going to provide me. I don’t think a fancy – fully featured product is better if it is not useful. For that, I depend on reviews from the real users. 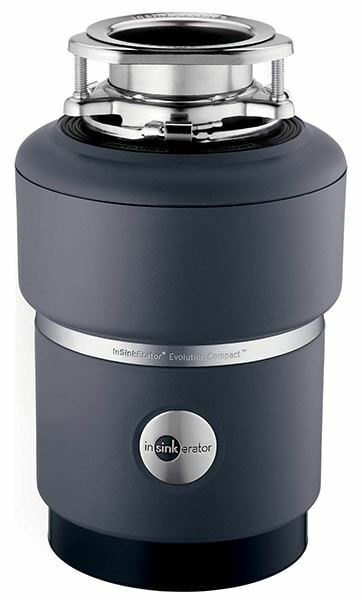 As I already said, this is quite a popular food waste disposer for those who are looking for a cheap garbage disposal; I got lots of assessment from the real buyers. Most of them love it because of the easy installation and Power. Grab the best price here. For instant recall, let’s count the reasons it has to be chosen by you. See more reviews from amazon. I’d like to mention very clearly that, as a cheap garbage disposal it has few limitations that may concern you. So before making the purchase decision let me tell you the drawbacks of choosing this food waste disposer. 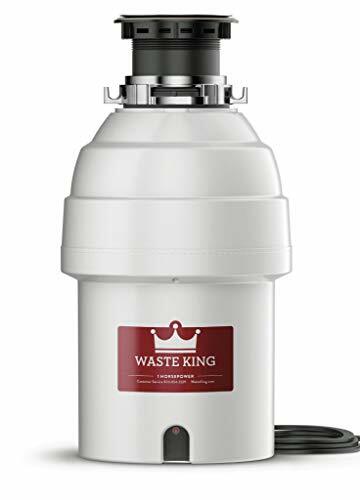 In conclusion, Waste King L-2600 is a very budget friendly, quiet garbage disposal that serves as a very cost effective solution. It can be enough for 2 to 4 persons’ family and not a very noisy device. Also, the installation is super easy, so spend no bucks calling plumbers. The five years In-Home Mechanical Warranty and a Lifetime corrosion warranty can be very useful for you. Find the Best ﻿Price﻿ at Amazon. If you have already decided to go with this product, you can grab the available sale deal on making a purchase now! If you are looking for a more Powerful but budget friendly Food waste grinder, then check The Waste King L-8000 Legend.